As many of the other chapters have indicated, the existence of special programs designed to assist urban, rural, and minority youth from low-income areas to attain college degrees and subsequent occupational success, the stark reality remains --only a small number will earn a bachelor’s degree or beyond (The Condition of Education, 1999; Levine & Nidiffer, 1997; Bureau of the Census, 1997). 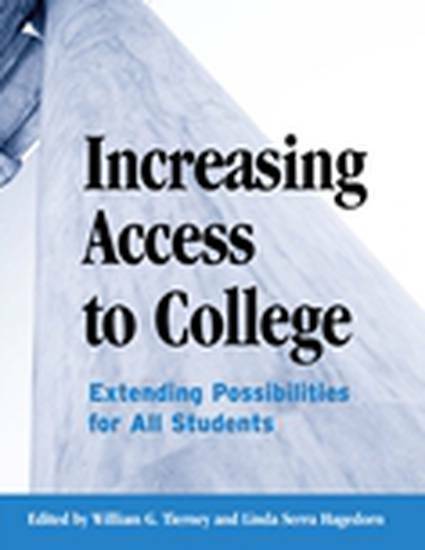 As Swail and Perna have indicated, the government, private foundations, and others have instituted many programs to counteract obstacles preventing these students from going to college. But despite the proliferation of programs, there remains a lack of research to assess effectiveness. As Gandara noted, most of the literature regarding special programs does not include empirical data to test for efficacy. Moreover, the existing evaluations tend to be short-term and do not follow students to college graduation and beyond. But most importantly, the extant literature is not counterfactual, in other words it does not disclose what would have happened to the subjects sans intervention.